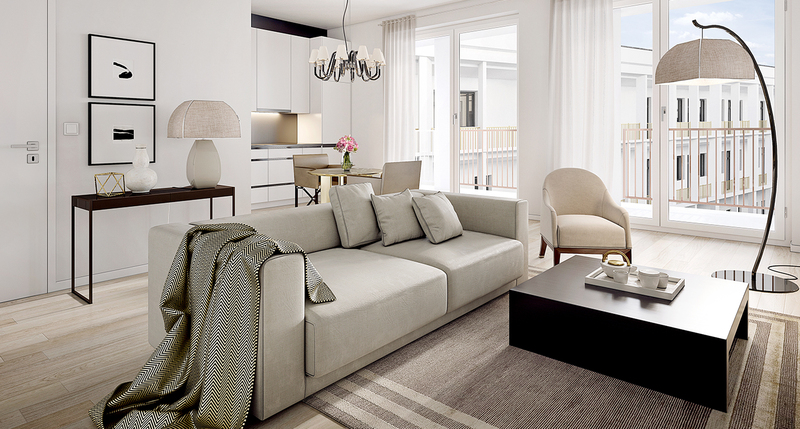 Each of the 164 units’ captivate with their up to 3.8-metre-high ceilings and ample daylight. 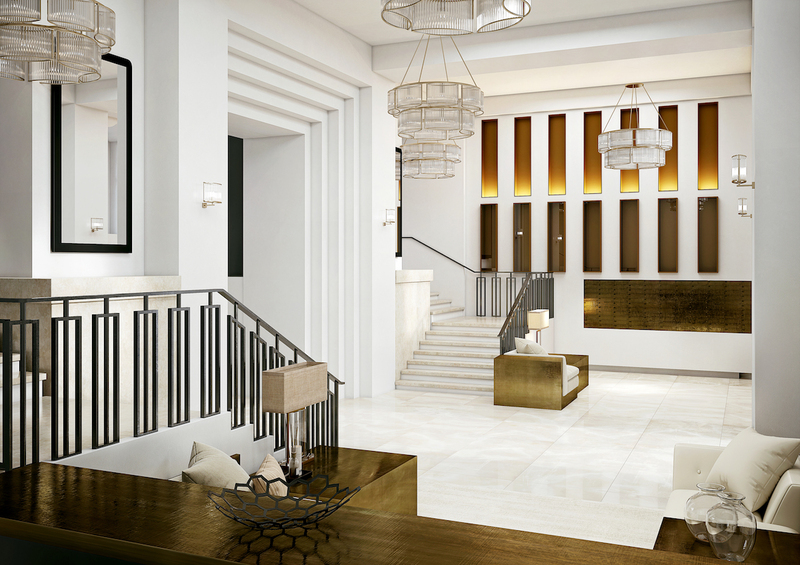 With 1 to 3 rooms and ranging from roughly 25 to 112 m2 in size, the floor plans provide intelligent, space-efficient concepts for sophisticated singles and couples of all ages. 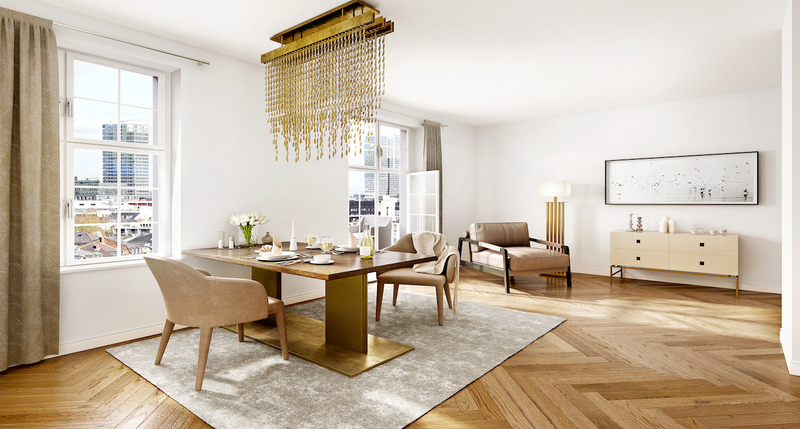 The high-quality features, including floor heating and real-wood parquet, cover every living area. Each flat will receive a complete built-in kitchen unit in white with high-quality electrical appliances. 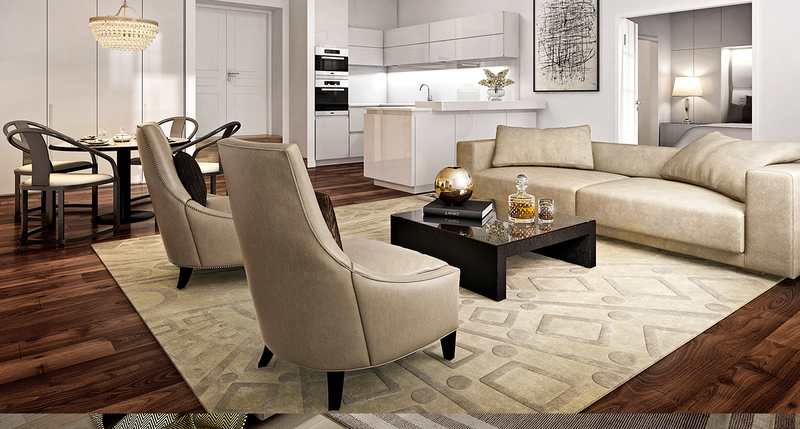 Three design motifs create a stylishly coordinated portfolio of notable manufacturers with whom the future residents can design their flat in the Grand Ouest according to their own personal taste. a feeling of exquisite value. * Special feature for an additional charge. The concierge is available around the clock to make your everyday life more comfortable. Whether ordering drinks, taking care of laundry and postal services or reserving a table in Frankfurt’s most popular restaurants. Even severely limited tickets for a guest performance at the ballet—the concierge service handles all of this for you. In addition to comfort, concierge also provides security for the building.